Elizabeth Krumbach Joseph's public journal about open source, DevOps, beer, travel, pink gadgets and her life in the city where little cable cars climb halfway to the stars. My day started off with the Community Roundtable where we first discussed the Code of Conduct draft and then scheduled time during Wednesday’s roundtable to invite discussion about it (here). 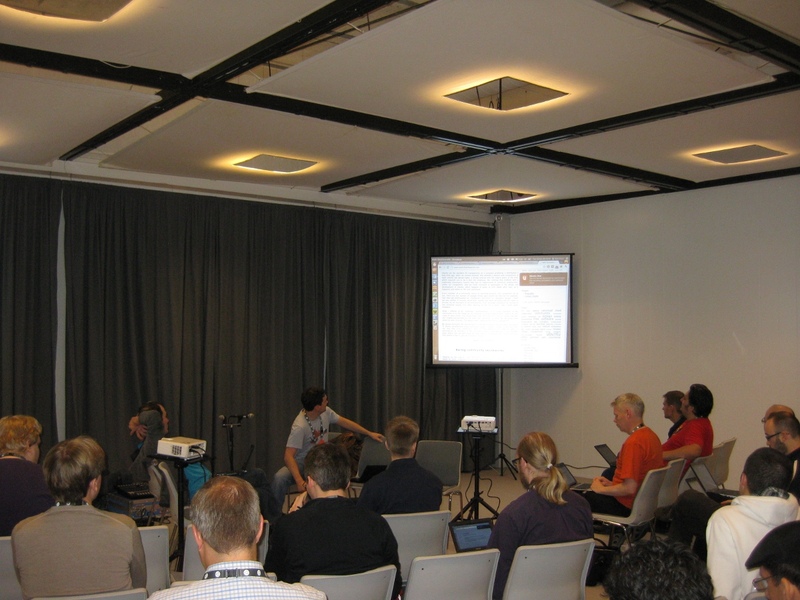 The next topic was the Google Summer of Code, which a couple community members volunteered to lead up and work with the Canonical community team as needed. Next was some discussion about how the members of the community can be supportive and factual about news around Ubuntu when there are news sites that thrive on sensational headlines to get page clicks. 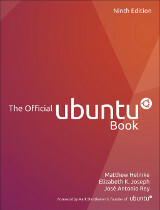 The creation of a FAQ was also proposed for journalists who tend to get facts about Ubuntu and Canonical wrong, but it seemed unclear how useful it would actually be. I’ve been interested in and dabbling with testing for a few release cycles now, so I was interested to see the development of UTAH test automation harness since discussions at the last UDS. This was a hands on session where attendees could follow along writing some basic test cases in UTAH. For reference I put up notes for the first two here and the directory created so I could keep track of changes made to files in each step is here. The session resumed after a break but I had another session to attend and I really just wanted a glimpse at the progress of the tool anyway. This session covered a few topics where representatives from several LoCos could weigh in on how their team handled them. Topics and suggestions included collaboration with non-profits and companies to handle money and materials and non-traditional locations for events and outreach to attract more interest in the team. There was also concern about LoCos feeling out of touch with news from Ubuntu due to communication and sometimes language barriers between Canonical and the teams, causing them to feel they can’t be authoritative, which we hope to discuss during an upcoming round table. Last cycle the Xubuntu team rewrote the offline documentation, but now it needs to be set up for translations, so that was one of the first action items of the meeting. 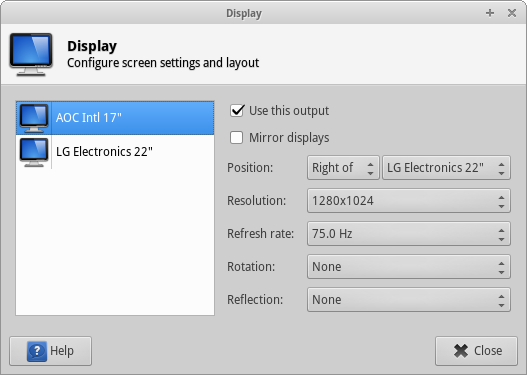 The team would also like to get better about writing team reports, so hopefully we can get scripts to track Xubuntu packagesets bug changes so we have a script-able way to get a basic idea of what has been worked on in a given timeframe. After some discussion about possibly using gtk-theme-config and options for screen locking it was time for a team photo! We’ll be having another session on Thursday to cover Artwork, Marketing and other remaining topics. 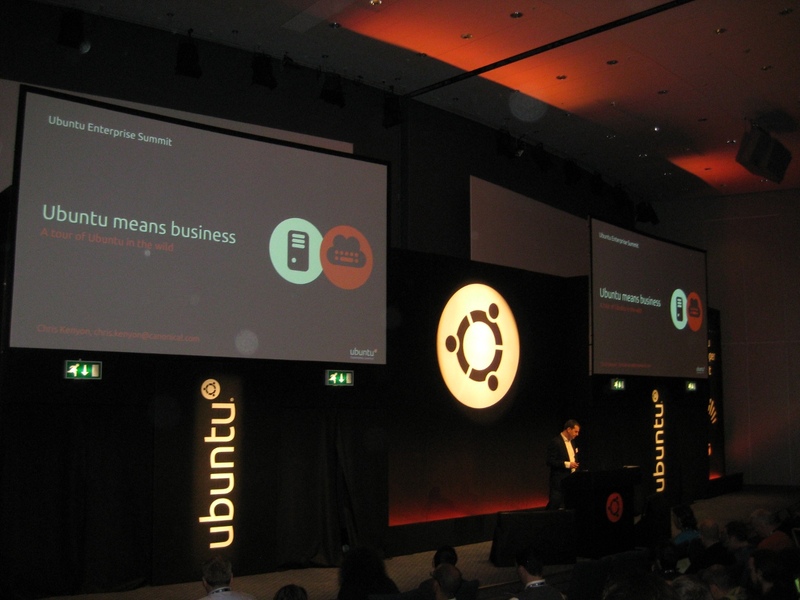 Chris Kenyon, Canonical’s head of Sales presented on “Ubuntu Means Business” by showing off some of the diverse places where Ubuntu is used. Began by talking about how “The future is being built on open options” with examples of many start-ups and key businesses. He also highlighted how they now shipping on a great deal of hardware that is certified to work with Ubuntu, particularly in China, explaining that the important thing is not that you can go buy a computer at your local shop (you largely can’t) but that Canonical is working with OEMs and getting hardware supported with Linux. He then moved into the topic of gaming on Ubuntu and how important gaming engines are and introduced Na’Tosha Bard, as Software Developer on Unity gaming platform who announced that in Unity 4 and Unity 4 Pro there will be support for Linux. In the enterprise the most compelling arguments for open desktops are security, cost, flexibility and manageability. New trends include additional devices on networks (not just desktop and laptops) and that a lot of work has been pushed to the cloud. Then had David Barth demonstrated the remote login capabilities to get into remotely running desktop sessions (ie – on a server), also talked about plans to stream single applications from Windows to an Ubuntu desktop. On to Ubuntu Server, Ubuntu is at the heart of a lot of cloud technologies. It was then to the HP Plenary by Paul Morgan to talk about HP innovations for low-power hyperscale computing. He spoke about the need for most effective data centers and HP Project Moonshot: The future of extreme low-energy servers. They’re predicting explosive growth in scale, cost and complexity given the amount of cloud-related data being used by consumers and in this space it’s essential to have low-powered servers. Paolo Faraboschi of HP labs then spoke about some of the major pain points that we’re approaching with new workloads, metrics, complexity and technology scaling rules. Also talked about some of HP’s work to innovate in new hardware technologies including use of photonics, memristors, nanostore. This was an evening event that kicked off with lightning talks. First up Martin Pitt talked about the Mock UPower python script to do mock testing of power settings, which can do a variety of tests with power like when it’s plugged in or when battery is critical without actually being in that state, he’s planning on having it packaged for inclusion in Raring. The next talk was about some tests in checkbox including create_connection which creates a connection in network-manager, network_reconnect_resume_time to see how much time was taken for wifi to resume (only works on some chips) and rotation_test which performs a full screen rotation using X (and it even worked on the projector! ), auto_test and audio_settings for audio testing, removable_storage_watcher to detect USB changes and removable_storage_test for file transfer tests. Then there was a “Testing Rant” by Thomi Richards where he talked about what qualifies as a unit test: the test can only fail in one way, in addition to be easier to test, it also makes your code more modular and in general better. Stéphane Graber was next up to talk about LXE containers to quick and easy testing on pristine installs, and also showed off some of the functions in the new python-lxc module. Finally, Daniel Manrique made a proposal for centralized automated testing repository, he covered an example of how UTAH and Checkbox are pretty much doing the same thing and that duplication of work could be avoided if the repository of tests existed. I ended up heading out after this to have dinner in the city with a bunch of Finns, Pasi Lallinaho, Jussi Kekkonen and Timo Jyrinki. 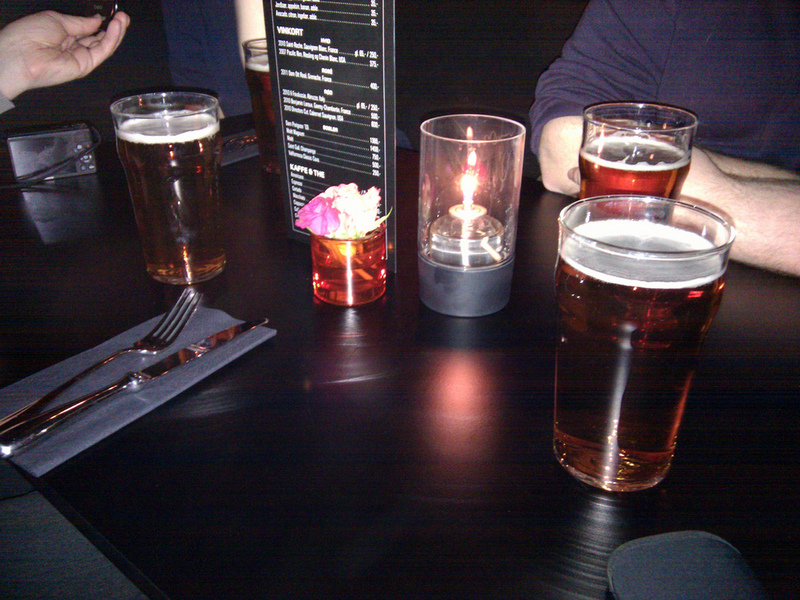 We had beers and steak along with some great conversations before coming back to the hotel. Now time to rest, on to day 3 tomorrow! This entry was posted on Tuesday, October 30th, 2012 at 4:40 pm and is filed under tech, ubuntu planet, UDS. You can follow any responses to this entry through the RSS 2.0 feed. Both comments and pings are currently closed. pleia2's blog is powered by WordPress with R755 theme designed by varometro. Unless otherwise specified, original content on this blog is licensed under CC-BY-SA. Entries (RSS) and Comments (RSS). 21 queries. 0.082 seconds.